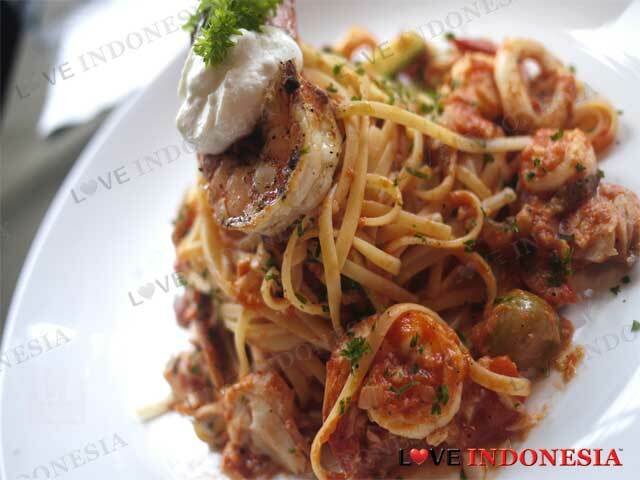 Delightfully Jakarta is one of those cities where you can find a lot of good Italian restaurants that specialize in pasta, pizza and other popular Italian dishes. So newcomers such as Aperitivo have all the work cut out for them, because everyone loves a good Italian meal, no matter where they are. As expected, when scanning through their menu you can find choices of the most sought after Italian dishes such as risottos, Italian sausages, pasta, pizzas and delicious antipasti are in profusion. If you wish to try something other than the usual items, we propose you scan through their 'secondi' selection of baked fish, duck and of course the steaks which are perfect dishes for dinner accompanied with a nice red wine. As for the pizza lovers who crave authentic and original pizzas minus the processed cheese and meat, we recommend you try the Primavera Pizza loaded with fresh rocket salad, grilled eggplants, roasted peppers, mushrooms and mozzarella cheese. Or even try the Panino Al Roast beef, which is sliced beef tenderloin with smoked eggplant dip, mesclun, Mozarella and roasted peppers, and a popular option for lunch. But beware as the portions are really big and the sliced tenderloin feels more like a tender steak to us. 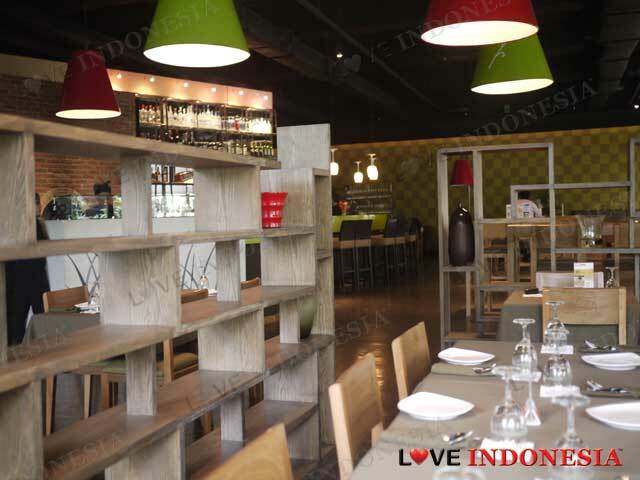 Surprisingly enough, in consideration for the local office people, who they share the building with, they serve Indonesian food as well from 11 till 5pm such as Balinese, Manado dishes and of course a Sop Buntut, which is quite unusual. We also highly recommend their Linguine Alla Mediterranea which is simply heavenly to look at and even more divine once you have tasted it. The dollop lemon ricotta sitting on top of the king prawn is exquisite and the seafood is undoubtedly fresh. Simply fine!